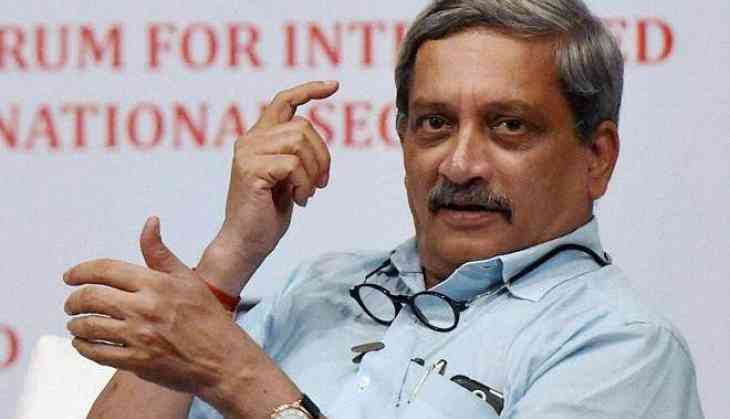 Manohar Parrikar to be accorded state funeral with full military honours at Miramar beach Panaji, March 18 (PTI) Goa chief minister Manohar Parrikar, who died after a long illness, would be accorded state funeral with full military honours on Monday, according to the home ministry. Parrikar, 63, who had also been the defence minister, died on Sunday at his private residence in Dona Paula near the state capital after battling a pancreatic ailment since February last year. MHA Joint Secretary S K Shahi, in an order issued on Sunday, said the Ministry of Defence is requested to make arrangements for state funeral with full military honours. "It has been decided by the government that state funeral will be accorded to the departed dignitary," Shahi has said in the circular. The final rites of Parrikar will be performed at 5 pm on Monday at the Miramar beach here, next to the memorial of Goa's first chief minister Dayanand Bandodkar, who was also cremated there, a state BJP spokesperson said. After Parrikar's demise on Sunday evening, the body was kept at his residence for the night. "His mortal remains would be brought to the BJP office in the morning where they will be kept for an hour before being taking to the Kala Academy to allow people to pay their last respects before his final journey," the spokesperson said. The central government has announced national mourning on Monday, officials earlier said. The national flag will fly at half-mast across the country.